What's coming up next from Nokia? Since coming under the control of Finnish firm HMD Global, the Nokia brand has been attached to some mighty impressive smartphones – the likes of the Nokia 8 Sirocco and the Nokia 7 Plus have left us very impressed with their design, power and build quality. There's always room for improvement though, and we think that improvement could come in the form of the Nokia 9. Such a phone hasn't been confirmed yet, but we've heard some rumours and whispers about it, and we're collecting them all here for your perusal. Nokia 9 rumours have been swirling for a long, long time – remember the Nokia 8 Sirocco came out back in February 2018, and was only a minor update on the Nokia 8 launched last August. A new Nokia flagship has been a long time coming. It doesn't feel like we're actually much closer to finding out a release date than we were back in February, in fact. Insider sources say a Nokia 9 phone is still on the cards for 2018, but HMD doesn't seem in any rush to get the handset out there, and it's left it so long that any new phone will now have to compete directly with the next iPhone and Pixel 3. As you may have noticed, 2018 is rapidly drawing to a close, so the Nokia 9 might break cover at any point. December seems unlikely, so keep your eyes on September, October or November for a potential Nokia 9 reveal. When it comes to price, this is likely to be the most expensive Nokia yet, in line with its premium specs and flagship status. The Nokia 8 Sirocco debuted for £699 (around $900, though it didn't make it to the US) – expect the Nokia 9 to go a little higher than that, while still undercutting the most expensive phones from Samsung, Apple and Google. Elegant design has been a hallmark of Nokia phones for as long as the brand has been around, and that's continued under the stewardship of HMD Global. For the time being we don't have too many clues about what the Nokia 9 will look like, but it's almost guaranteed to be quite a looker. The word on the Nokia street is that a 5.7-inch screen is going to be fitted to the phone – quite small by the standards of 2018, but bigger than the 5.5-inch display attached to its predecessor, the Nokia 8 Sirocco. A smaller screen helps to keep costs down and battery life up as well, of course. Expect minimal bezels around the side of the screen, though perhaps no display notch, as HMD Global has been reluctant to add a notch to any of the other phones in the Nokia line except for the Nokia X6. It's possible that we'll see something like the metal accents on the Nokia 7 Plus when the Nokia 9 rolls around. As for materials, the familiar all-glass sandwich looks like being the best bet, but the engineers and designers behind the Nokia 9 are going to want to make it as comfortable to hold as possible, so we wouldn't rule out some kind of texturing on the back. We haven't spotted any recent, genuine-looking leaks, so the design remains something of a mystery. What components is the Nokia 9 going to be packing? The Nokia 8 Sirocco came with the Snapdragon 835 processor, but we'd expect its successor to go one better with the Snapdragon 845 – it's the chipset that's been in all the flagship Android phones this year, and it isn't going to be supplanted until 2019. On top of that, it's unlikely that the RAM will be any lower than the 6GB packed inside the Nokia 8 Sirocco, and we might even get 8GB as an option (this is a high-end phone, remember). The Nokia 9 should be able to hold its own against any 2018 handset, in terms of performance at least. Storage will most probably start at 128GB, and that's again based on what we know about previous handsets. Nokia phones don't usually come with memory card slots, again to keep costs down, so you might be stuck with however much storage you decide to go for with your initial purchase. And what of the camera? This is another area where previous Nokia handsets have excelled, and with HMD Global registering the PureView trademark again, it might be going all-out with the camera on the Nokia 9. Expect a dual-lens rear-facing camera with some impressive specs that's capable of some impressive results. We know that Nokia (or rather HMD Global) is proud of being part of the Android One programme with handsets like the Nokia 6 – that means stock Android and fast updates – and that looks likely to continue with the Nokia 9. Considering the timing of the launch it looks like the phone will come running Android 9 Pie. Waterproofing is something else that's been rumoured for the Nokia 9 – a full IP68 rating, up from the IP67 protection on the Nokia 8 Sirocco. Waterproofing and wireless charging are almost expected of a new phone in 2018, and it looks as though the Nokia 9 is going to turn up with both. 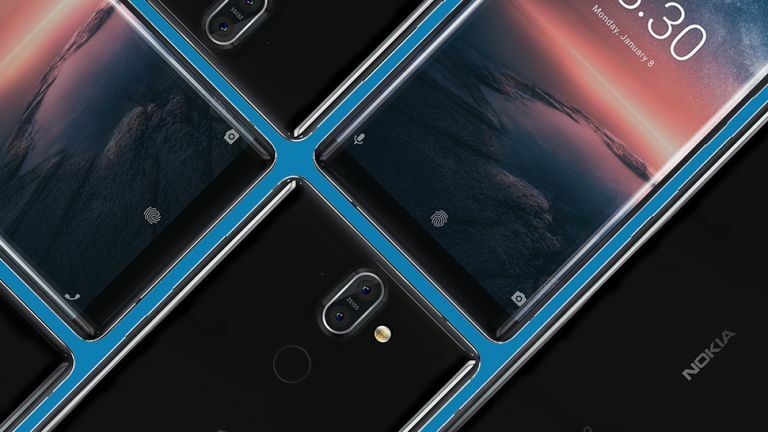 One of the more intriguing tips we've had about the Nokia 9 suggests it's going to come with an in-screen fingerprint scanner on the front of the device, which would make it one of the first flagship phones to have the feature (Samsung isn't expected to introduce the tech until the Galaxy S10 in 2019). A fingerprint sensor under the front glass would certainly help the Nokia 9 stand out against the competition – maybe that's what's taking HMD Global so long to get this phone out there? It's been quite a long time coming, but based on everything we've heard so far, the Nokia 9 might just be worth the wait.